TIME magazine has called Tai Chi the “Perfect Exercise.” What’s the big deal, why is it so different from typical exercise and who can benefit from practicing tai chi? Most of the estimated seven million Americans who practice the ancient art of tai chi do so to increase their health, not for self-defense. Western medical research studies confirm what hundreds of millions of tai chi practitioners have experienced themselves: tai chi improves health, reduces stress, and mitigates the effects of aging. Tai chi is often called the ‘elixir of life’ because it helps the body and mind to regain youthfulness and life-affirming vigor. These modern times of speed, stress and force call for an antidote, one that supports you and gives you the movement and exercise you need to be healthy and happy. Common western exercise does the opposite, it revs you up, and leaves you feeling more stressed and drained, and can lead to injury. Tai chi teaches you to ‘rev down’. 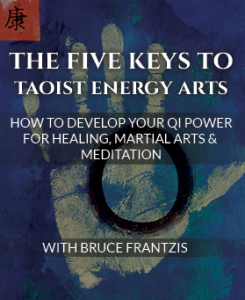 Conventional exercise is hyper-focused on superficial definitions of health, whereas the graceful movements of tai chi have within them a powerful self-healing practice improving you from the inside out. People suffering from disabilities, arthritis, chronic pain, unsteady balance and impaired lung function that preclude strenuous exercise love tai chi’s gentle movements. According to the Mayo Clinic, tai chi is generally safe for people of all ages and fitness levels. Tai chi is also perfect for people who are clinically obese or challenged by other physical impediments and do not want to feel embarrassed in exercise classes filled with fit and beautiful bodies. Tai chi is based on a 3,000-year-old system that works with the chi or life-force energy within your body. When chi is flowing freely, in a balanced manner throughout the body, you will have good health. If your chi becomes blocked, stagnant or unbalanced in some manner, tension, discomfort and illness will follow. This principle is the foundation of Chinese medicine, which includes acupuncture. Tai chi, like acupuncture, balances chi within your body. However, you can easily do it for yourself anytime you wish. Researchers from Tufts Medical Center in Boston, MA, found 47 formal studies presenting the beneficial health effects of tai chi. Some studies showed that tai chi improved functioning in the heart, blood vessels and lungs among healthy people as well as those with heart conditions, including patients who have had coronary artery bypass surgery. Other studies showed that tai chi helped reduce pain, stress, anxiety while improving memory, concentration and digestion. Still others demonstrated that tai chi helped seniors improve balance and functioning for normal daily activities. “Oh, my aching joints,” is a common sigh among arthritis sufferers. By 2020, an estimated 60 million Americans will be afflicted by arthritis and more than 11 million disabled. But statistics do little to mitigate the large amount of suffering. Two significant medical studies have been undertaken: one in the United States, one in Australia, showing that practicing tai chi provides relief from arthritis. These studies were widely publicized by the Arthritis Foundation of Australia, which now officially recommends tai chi as an effective alternative therapy. Tai chi’s gentle movements support joint heath by increasing the range of motion and flexibility of joints, improving the flow of fluid inside joints and strengthening the muscles surrounding arthritic joints. Two studies help confirm what tai chi practitioners have already experienced: tai chi boosts their immune systems and helps them resist illness. And, if an illness like cancer does strike, tai chi helps mitigate the side effects of chemotherapy and radiation while calming fear and anxiety. Interestingly, a study conducted by the University of California, Los Angeles found that people who practiced tai chi for 45 minutes a day experienced up to a 50 percent increase in their immune system memory T-cells, boosting immunity to many diseases, including cancer. The study also found that tai chi helped reduce the chronic stress and anxiety that accompanies cancer. A Western clinical study, done by the Johns Hopkins School of Medicine in Baltimore, MD, showed that tai chi lowers blood pressure in seniors. The study conclusively demonstrated that tai chi’s gentle movements were as effective in significantly lowering blood pressure as the higher intensity activity of aerobic exercise. A leading cause of death and disability in the elderly is falling down. Two studies initiated by the National Institute of Health (NIH) showed that tai chi improves balance, decreases the risk of falls and dramatically decreases the fear of falling. In addition, seniors participating in the study improved their grip strength, had better range of motion and an easier time falling asleep. The least studied beneficial health effect of tai chi is its stress busting power. The ability to let go and relax in all ways-physically, emotionally, mentally and spiritually, is at the philosophical center of all tai chi and other chi practices. Relaxation allows health and happiness to flourish; tension diminishes this possibility. One formal study shows that the practice of tai chi produced less tension, depression, anger, fatigue, confusion and anxiety. Test subjects felt more vigorous, and in general, had less total mood disturbance. 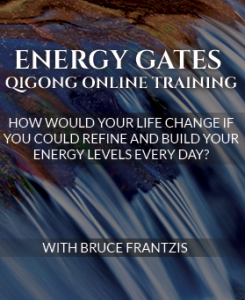 After my 20+ years training in energy arts in the Orient and teaching tai chi, qigong (chi gung) and meditation to tens of thousands of Westerners, I know first-hand that these are important and powerful health practices. Tai chi helps people take control and responsibility for their health so that life is a joy to live and not a burden to carry into old age. Tai chi has helped heal my own body and calms down my mind from the stresses of daily living. Tai chi disposes me to look for ways to positively engage with life. Most importantly, tai chi has given me the ability to realize the great human potential in myself and to have genuine compassion for others. It has the ability to do the same for you. Now how ‘bout some practice?! 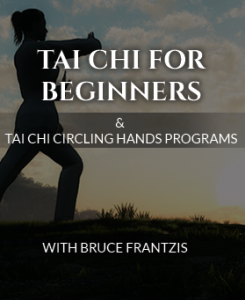 I’m 53 and began studying tai chi 3 and a half years ago due to arthritis in my hip. It has eased the discomfort greatly though I don’t think my flexibility has improved a lot. But, I had pain sleeping before I started and the hip would sometimes feel as though it was “giving out” when I was walking or standing. I also walk 4 to 5 miles a day and feel that is a good adjunct to the qigong practices (8 brocades and meditation as well). The things I really notice that have improved is balance, concentration and reflexes. Admittedly, I’m still as clumsy as ever but now I often catch things before they fall (LOL). Be well all. And thanks for the spate of postings Bruce. 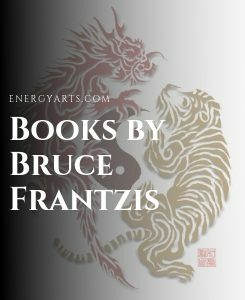 Well said Bruce — Tai Chi is all of that, and to those who find its secrets so — much more! !